Gross Weight (GVWR) 9946 lbs. Bring home an RV that's great in all seasons! 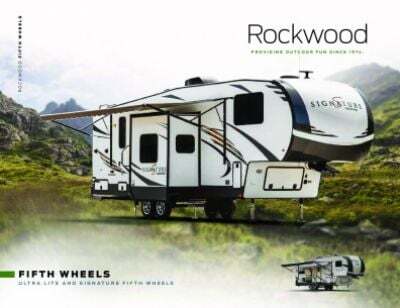 The 2019 Forest River Rockwood Signature Ultra Lite 8327SS is a reliable Travel Trailer loaded with awesome amenities! You can find this RV for a great price at All Seasons RV, one of the largest RV dealers in the Midwest! We're located in Muskegon, but you can utilize our 24/7 nationwide delivery service if you can't make the drive! Call us at 231-739-5269 or stop by our location at 4701 Airline Rd Muskegon Michigan 49444 to start your RV adventures! Lounge outside without getting a nasty sunburn under the shade of the 21' 0" awning! This Travel Trailer has a hitch weight of 1146 lbs. and a GVWR of 9946 lbs. No matter where you are, you'll sleep well inside this RV! There's enough sleeping space for up to 10 people, and there is a Queen bed inside the master bedroom! When it's cold and rainy outside, no one likes to trudge through the campground just to use the damp, cold community bathroom! 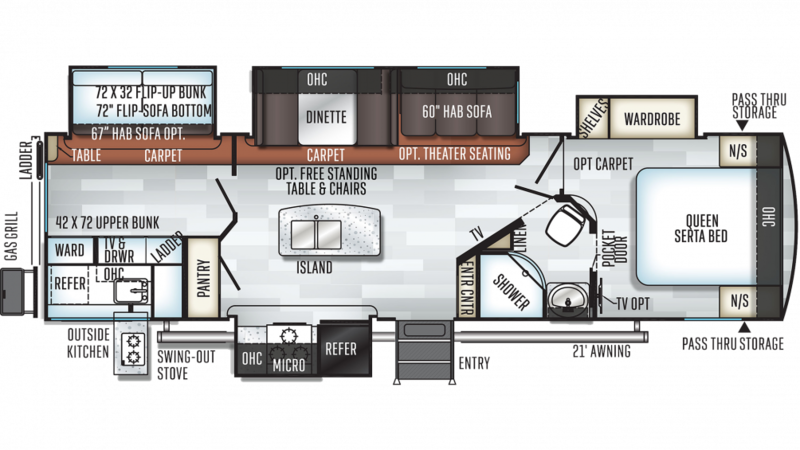 This RV has a full bathroom so that you'll never have to go through that trouble ever again! Take a long, hot shower whenever you want and there'll be no waiting for the handy Porcelain Foot Flush toilet! Waste and used water are stored in the 45 gallon black water tank and the 90 gallon gray water tank, respectively. The comfy bunkhouse features extra snug Bunkbeds. Kids or guests will appreciate having the cozy and secure sleeping space it provides where they can ease off to dreamland at the end of the day.